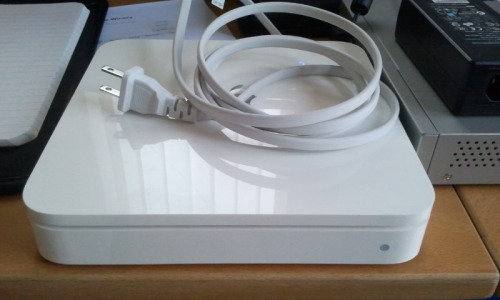 Ok, we’re back – the Apple Time Capsule being used as the home-office router mysteriously died this morning. No warning, no connectivity. I can’t even get access to it to find out what is wrong. It’s dead, done. Quickly swapped back to a Linksys running DD-WRT, re-routed a bunch of network cables and we’re good to go. Be the first to comment on "Ok, we’re back – the Apple Time Capsule being used as the…"